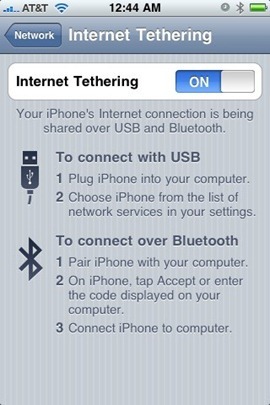 Last week we posted a complete step by step guide on how to enable Internet Tethering option on your iPhone 3G/3GS running iPhone firmware 3.1.2 which was based on the hack, originally found by the Dev-Team. While the hack worked flawlessly for some, many specially AT&T users were forced to choose between enabling either Tethering option or visual voicemail (VVM). Step 1: You will need to first follow the complete detailed guide posted here to enable Internet Tethering on your iPhone from Step 1 – Step 10. Step 2: Make sure you do not install the MobileConfig file from http://www.benm.at/help/help.php as mentioned in UPDATE 1 of our guide posted here. If you already have it installed, then you must first remove it by navigating to Settings -> General –> Profiles on your iPhone before moving to the next step. Step 3: Download and install the corrected MobileConfig file by browsing to this link from mobile Safari on your iPhone. This corrected MobileConfig file basically has correct APN settings for both VVM and Tethering so that they don’t interfere with each other. That’s it! 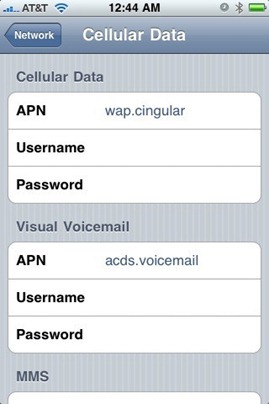 Tethering and Visual voicemail should now both be running perfectly on your jailbroken AT&T iPhone 3G/3GS running firmware 3.1.2. You can ask me any question should you run into any problem in enabling Tethering and Visual voicemail (VVM) on your iPhone running firmware 3.1.2. So, I have done steps 1 and 2. However, on step three when i try to point my mobile safari browser to the link, it says Cannot Open Page “Safari cannot open the page because it could not connect to the server.” Is the link broken or is it just me? nice this worked for me, thanks! DO NOT USE THIS IF YOU USE SPIRIT. It will brick your phone. This is a known issue on the devteam wiki. Don't use spirit. Jailbreak using redsn0w >0.9.4 which auto-unlocks commcenter. Then just install the mobile config listed. This has worked for me ever since last year & it just recently stopped (i.e. when tethering is turned on, the status bar doesn't change to reflect it)… Did AT&T change anything on their network when they announced the tethering for $ option?